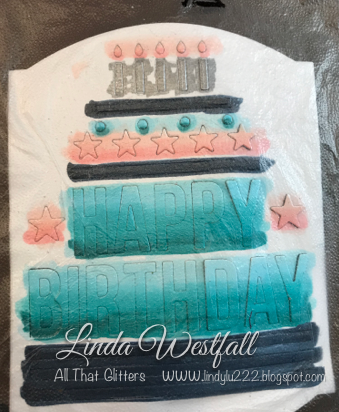 The challenge was to make a shaker card for the My Favorite Things Birthday project, and to do Ombre for the Simon Says Monday Challenge. I originally was just making this card for the My Favorite Things challenge, and this card has been started and set aside for a while now. It has kind of evolved over the past little while. 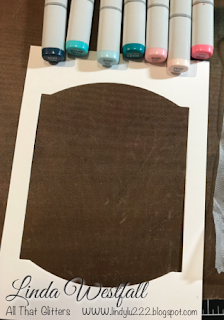 I started but cutting the Elegant Rectangle STAX Die-Namics from My Favorite Things from a piece of Neenah Solar White cardstock. Then I cut the Happy Birthday Centerpiece Die-Namics from My Favorite Things from the center of that. 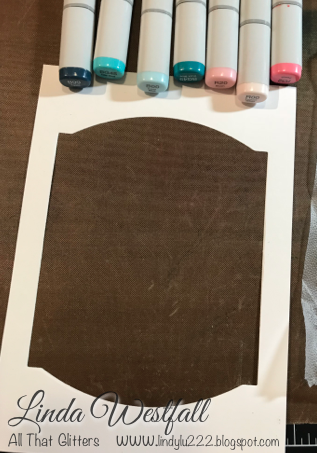 I used Copic markers to color the images in and then transferred them onto a piece of window acetate, using the outline to help me out. For some reason it still ended up a little wonky. I used Bubble Gum ink from My Favorite Things, and Faded Jeans and Broken China Distress Oxide inks to blend some color around he outside of my panel. I added some 3M foam tape to the back of the panel to create a spot for the shaker material. 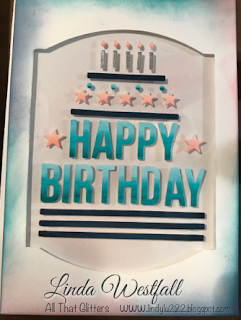 I blended a little Bubble Gum ink onto a white card base and put some small sequins, and various colors of beads into the center of the back of the panel and laid the card base over the panel to capture the shaker components. 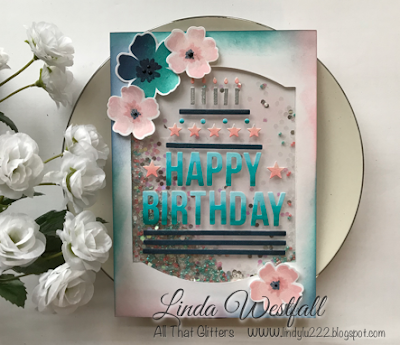 I stamped the flowers from My Favorite Things Bubble Gum and Insulation Pink inks and Hero arts Ombre inks. I adhered them to the panel. 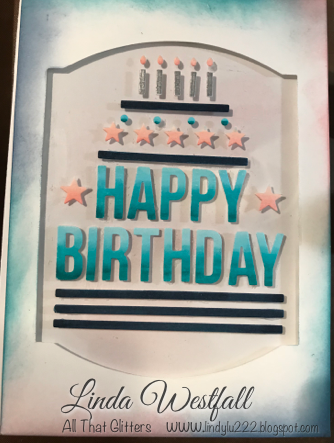 Wow, this card is fantastic!! 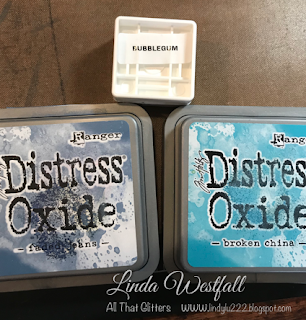 What a clever way of doing an ombre technique on small die cuts. And then adhering all those little pieces in place! Thank you so much for sharing with us at the Simon Says Stamp Monday Challenge Blog! !